The Innovation Challenge, held at ACC.18, brought forward new solutions in cardiovascular medicine that have the potential to contribute to better outcomes and refine clinical practice. The pitch competition, a collaboration between ACC and AngelMD, featured eight finalists, selected from a field of 64 startups. Cardiology’s four-part series has explored the path of these entrepreneurs from concept to the pitch competition and their next steps. In this closing article, we talk with the leaders of ThermoMorph in the medical device category and HealthPals in the digital health category. Missed the other articles in this series? Go to ACC.org/Cardiology to read about PolyVascular, the winner in the medical device category for its pediatric transcatheter valve that can grow as the child grows. And read about Wellth, the winner in the digital health category, for its smartphone-based program that offers financial rewards to improve medication adherence. The other finalists were Corrie Health, Wellflix, Blumio and Genetesis. Are you an entrepreneur? Watch for details about the second Innovation Challenge and pitch competition to be held at ACC.19 in New Orleans! Every year in the U.S., more than 100,000 people die from a pulmonary embolism, according to data from the Centers for Disease Control and Prevention. Thrombectomy devices have the potential to reduce this number. A novel device called QuickFlow PE, being developed by ThermoMorph, can quickly remove massive and submassive pulmonary embolisms (PEs) and restore blood flow – in a percutaneous procedure that can be completed in less than 30 minutes of the patient’s arrival. During a procedure, performed by an interventional cardiologist, interventional radiologist or vascular surgeon, the proximal portion of the QuickFlow PE is deployed beyond the blood clot and the distal portion is deployed before the clot. The proximal and distal portions meet during the procedure, so the blood is separated from the artery and the clot is captured and removed using suction that is applied through the delivery catheter. “Our design allows the entire clot to be removed without the shearing of dangerous clot particles,” says Mohammad Elahinia, PhD, CEO of ThermoMorph. QuickFlow PE could greatly reduce health care costs by reducing or eliminating stays in the intensive care unit and reducing the overall hospital stay for patients with a PE, adds Elahinia. ThermoMorph has completed benchtop and animal testing of QuickFlow PE and received feedback from the U.S. Food and Drug Administration. Next steps for the company include expanding its development team and funding so it can complete clinical tests of the device, Elahinia says. The company expects to start the clinical study within six months. The study design is underway and the endpoints, methodology, number of cases and evaluation methods have been defined. “Our plan is to have our first sales in the U.S. in 2020,” says Elahinia. If ThermoMorph reaches this goal, it’ll be just a six-year journey from when the company was founded to its first sales. In 2014, Christopher Cooper, MD, FACC, an interventional cardiologist and dean of medicine at the University of Toledo, teamed up with Elahinia to develop the QuickFlow PE and founded the company. 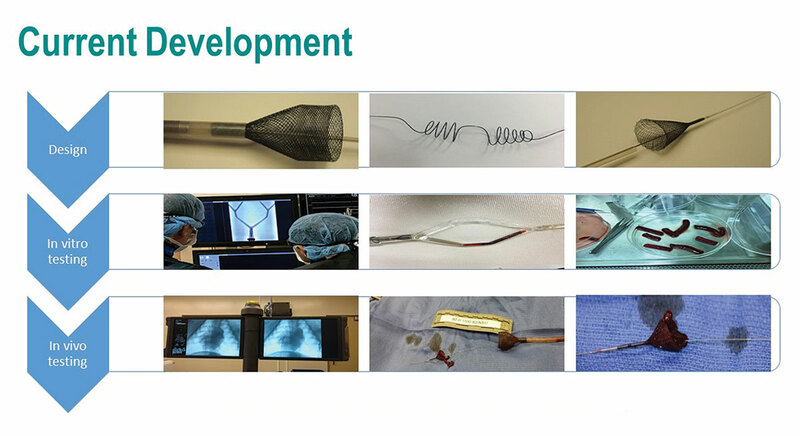 Cooper saw a need for a device to quickly remove a PE and Elahinia has a strong background in working with nitinol, the primary material used in QuickFlow PE. Nitinol can be used in a small package for minimally invasive devices but it can be expanded so it is large enough to capture a blood clot, Elahinia explains. It’s also malleable and flexible — important qualities so that such a device does not injure the blood vessel. The ACC’s Innovation Challenge was an important step for gaining more support for the QuickFlow PE, says Elahinia. “Most of the people attending are in the ecosystem of taking care of patients with a PE, and it was valuable to learn from them and connect with the cardiology community,” he adds. ThermoMorph is part of the University of Toledo LaunchPad Incubation Program and currently has five members on its development team. The current armamentarium of treatment options can be overwhelming in scope and complexity. A startup company called HealthPals is using machine learning to simplify the arduous search for the best choice of treatment for a patient, with a focus on managing cardiovascular and cardiometabolic disease. “We can map these patient data into evidence-based guideline recommendations and produce an automated, actionable, personalized treatment plan for each patient. It displays every opportunity that exists for a patient and it even prioritizes each opportunity relative to the impact it will have on overall risk of heart attack and stroke or any condition of concern,” says Rajesh Dash, MD, PhD, a cardiologist at Stanford University and cofounder of HealthPals. CLINT not only sorts the guidelines and patient data, but draws on other relevant data that can impact treatment, such as patient ethnicity and social determinants of health, says Dash. Algorithms have been created using machine learning and the CLINT platform. These algorithms can guide treatment for a patient at various points in the management of a disease. The treatment selected at each point is based on the treatments of patients with similar disease states, Dash says. Beyond improving care, CLINT can help reduce the cost of treatment by standardizing decision-making across the health system. This can help health systems meet new reimbursement thresholds for value-based care, Dash says. 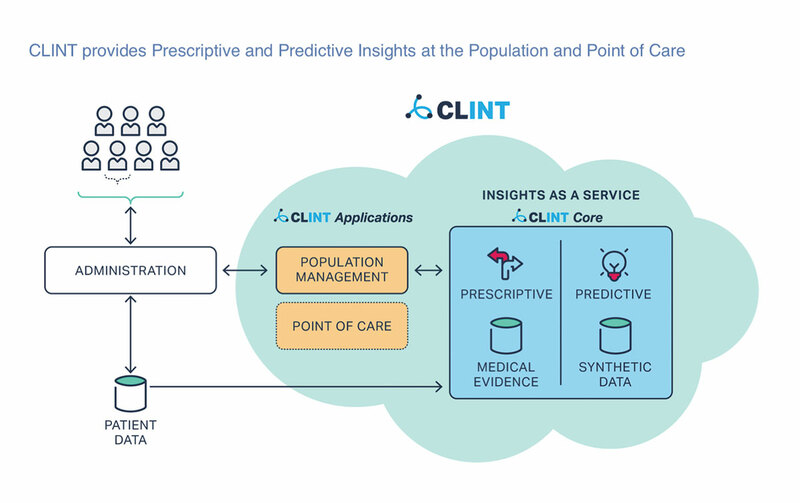 The CLINT platform has been shown to improve the efficiency of an individual clinic based on its ability to help implement the use of preventive medicine. A pilot study at Stanford University showed that CLINT can identify a clinic’s lowest risk patients and create openings within clinic schedules by pushing out appointments for those patients to create room for higher risk patients, inpatient appointments and new patient appointments, Dash notes. “We were able to improve clinical throughput by 24 percent and improve profits for the clinic by 21 percent. The real value of CLINT is at the clinic or health system population level, where these efficiencies can truly make an impact,” he explains. The inspiration for HealthPals came from an effort at his clinic to improve the treatment of patients from South Asia at risk for heart disease. His study of patient data found that half of all clinic patients should have been on treatments to manage blood pressure, cholesterol or diabetes, but were not receiving those treatments. Dash partnered with Sushant Shankar, a data scientist with extensive experience in analyzing large datasets from users in other industries. When they recognized they could use their wealth of data to develop a population-based tool, they created HealthPals in February 2015. Since then, the CLINT platform has been deployed in two health systems. And HealthPals has signed a partnership with the ACC to analyze its registry data. An immediate goal is to become a revenue-producing company by the end of 2018. It is also working to develop partnerships with more U.S. health systems and pharmaceutical companies, as well as government health systems outside the U.S. HealthPals, based in Millbrae, California, has six full-time employees and several part-time consultants. Learn more about innovation and watch for details for the next pitch competition at Info.AngelMD.co/ACC.